Follow your passion into the program of your choice today! Here you will focus on the knowledge, theory, and technology dealing with the collection of facts and figures, and the processes and methods involved in their manipulation, storage, dissemination, publication and retrieval. Come along to build competencies in important and emerging areas such as information organization, information architecture, information seeking and use, health informatics, knowledge management, digital content and digital curation and information systems. It is with deep sympathy that we share the news of the passing of Professor Emeritus, Dr. Donald B. Cleveland. 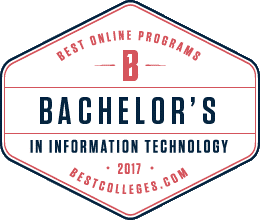 BSIS is ranked 16th nationally by BestColleges.com in 2017!